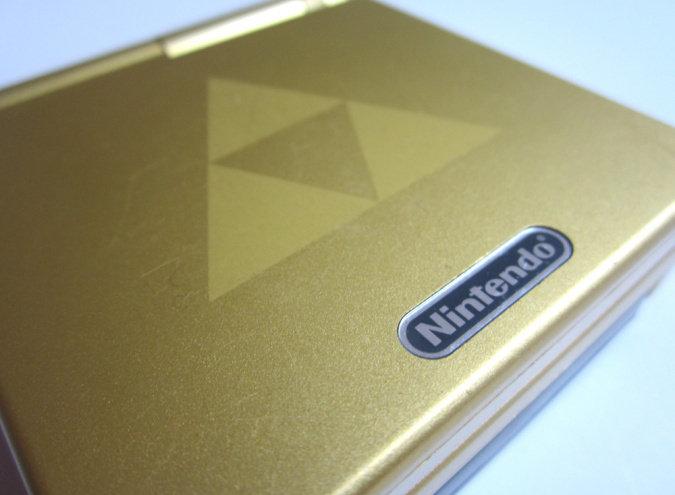 Nintendo's Game Boy Advance is one of the company's most beloved handhelds. It had a hard act to follow, coming after the blockbuster successes of the original monochrome Game Boy and the Game Boy Color, but it managed to shift almost 90 million units globally. However, in typical Nintendo fashion, it took a major hardware revision to deliver what many players considered to be the finished article. 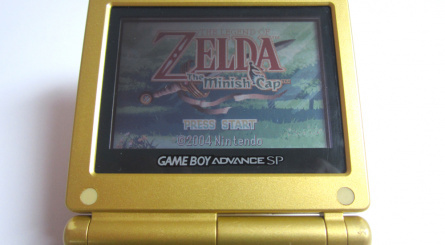 The original Game Boy Advance model lacked a lit screen and used AA batteries rather than a rechargeable power cell. 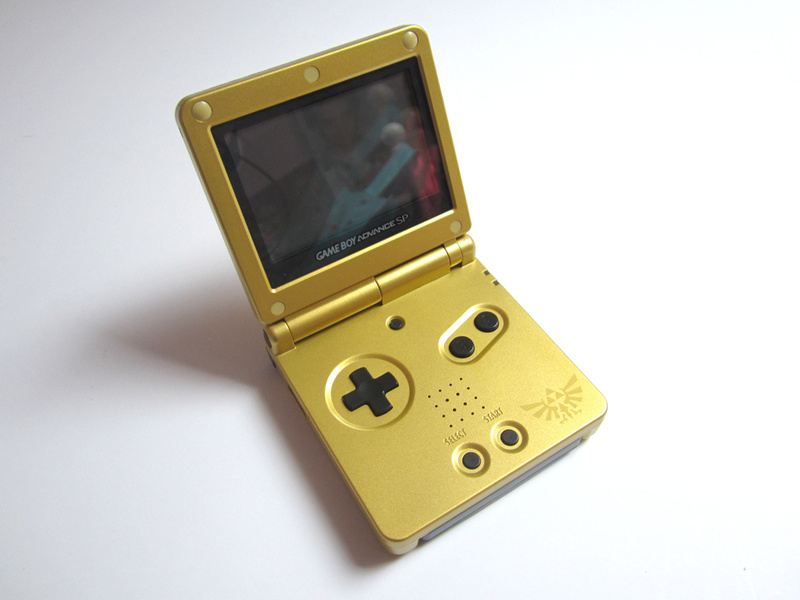 2003's Game Boy Advance SP remedied these problems, and also introduced a clamshell form factor which protected the screen and made the unit feel even more portable. Bizarrely, it also removed the headphone socket, requiring users to purchase an additional accessory which plugged into the charging port (and therefore meant you couldn't charge and listen through headphones at the same time). 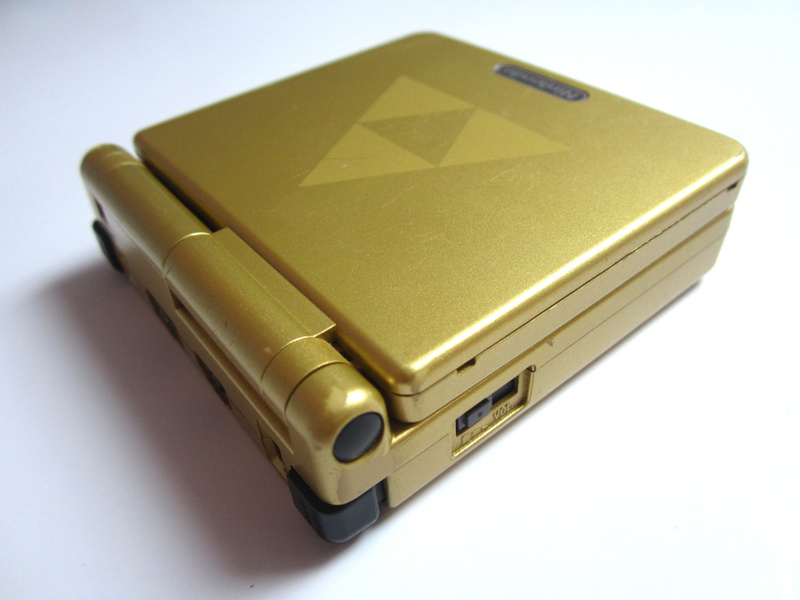 Like so many of Nintendo's products, the Game Boy Advance SP was released in a variety of limited edition flavours. 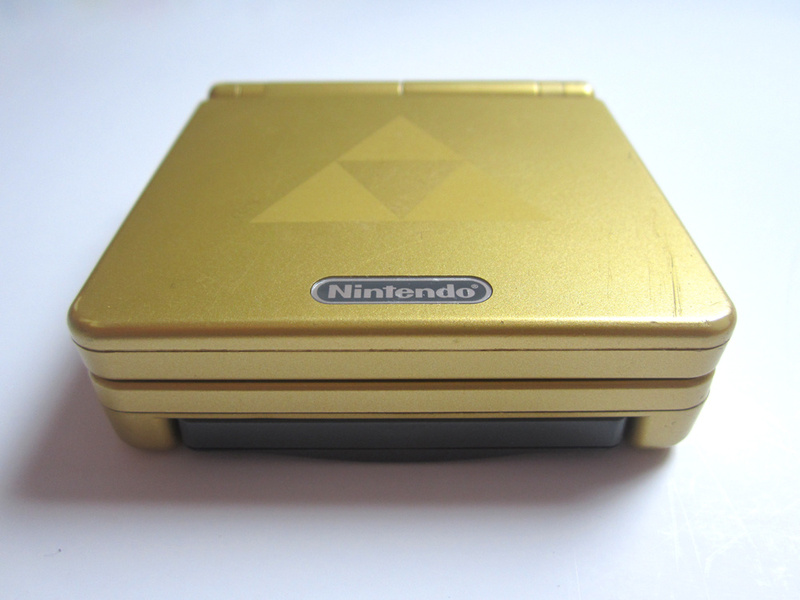 This gold-coloured Zelda example isn't particularly rare, but it's certainly one of the most visually appealing; it was bundled with a copy of The Legend of Zelda: Minish Cap. 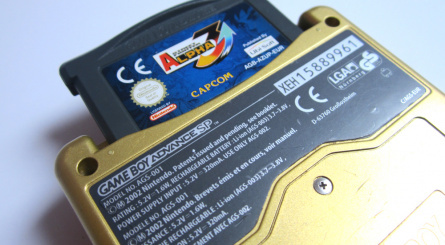 Sadly, this edition of the console doesn't include the superior backlit screen (Game Boy Advance SP units with this screen have the model number AGS-101) - if it had, then this would arguably the ultimate edition of the handheld. If you're looking to pick up a Game Boy Advance SP unit then this is certainly worth considering, despite the lack of the backlit screen. 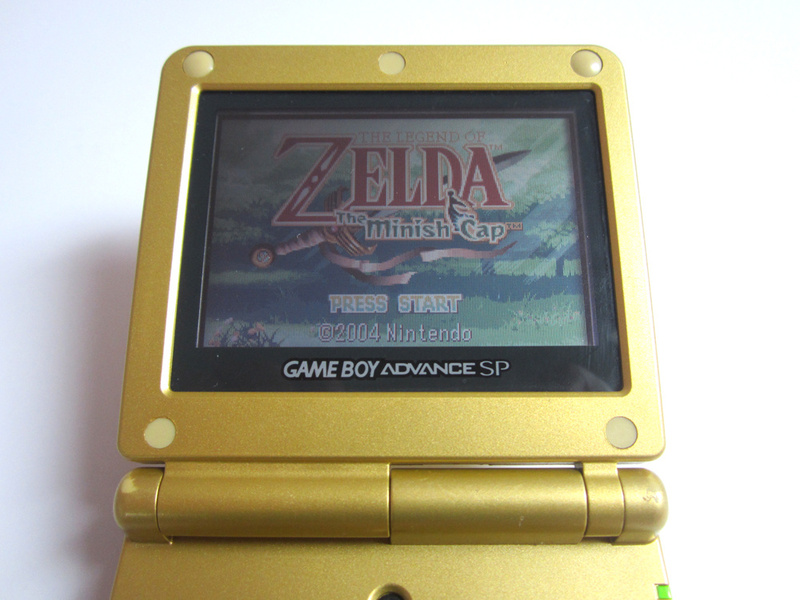 AGS-101 models tend to fetch high prices when they come up for sale online, whereas this Zelda-themed edition is slightly less expensive. It's a fantastic collectable, and goes particularly well with the limited edition Wii Remote bundled with The Legend of Zelda: Skyward Sword, we think. That looks awesome! It's seems its strictly a collector's item though as the odd omition of a backlight kinda makes this a bit lame to play games on. I'm glad there are still people who know the difference between the original SP and the AGS-101 SP. I've seen so many people claim the original model had a backlit screen when it was only frontlit. 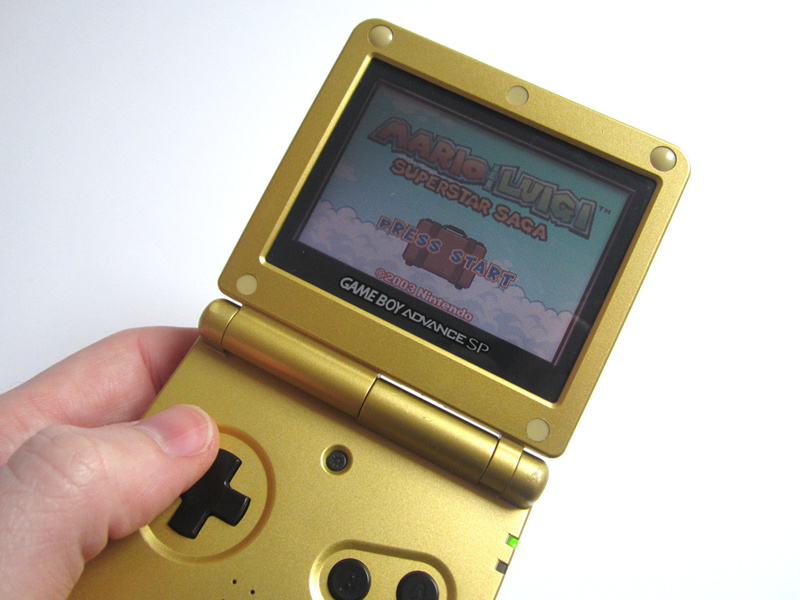 I must say though, I have both variants of the SP and the backlit model is definitely well worth the price difference. However if you're looking to play in the dark in bed, it'll burn your eyes off. 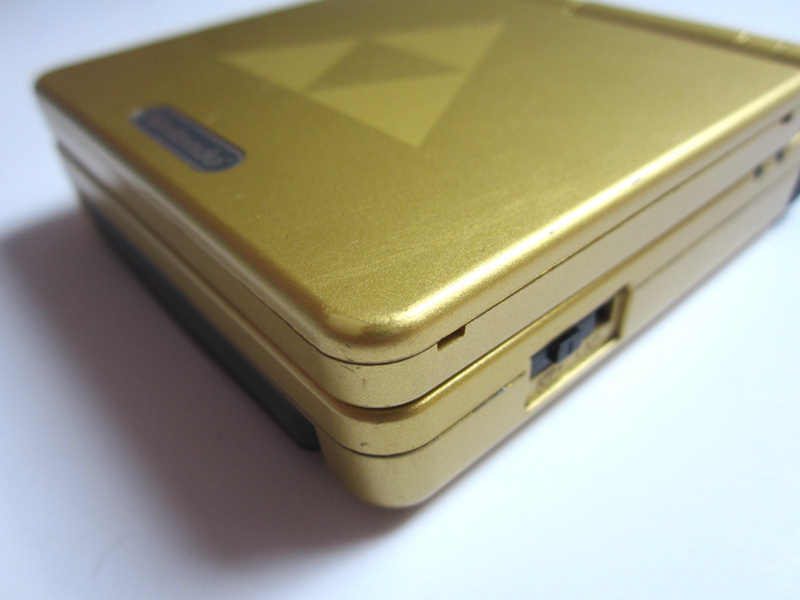 I have the special edition GBA SP that's colored like the NES. I love it. Reading some of the things this is missing makes me glad I got a micro! It has everything this was missing, and even more portable!!! Now THIS is a beauty. 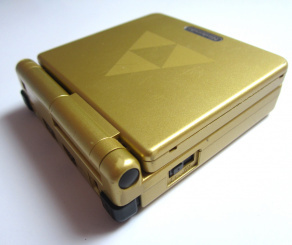 It must be cool, being that guy with that gold SP. I thought that symbol next to the start button was introduced in Skyward Sword. Must be a little bit older then! @Radbot42 Perhaps too portable, haha. Damn that thing was small. The thing is this model DOES have a backlit screen. 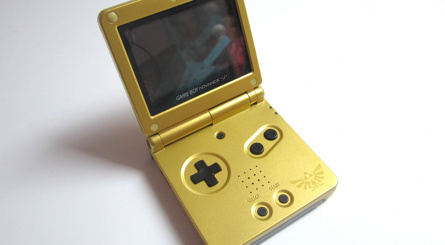 There was a later model revision of the SP with a better/brighter screen. 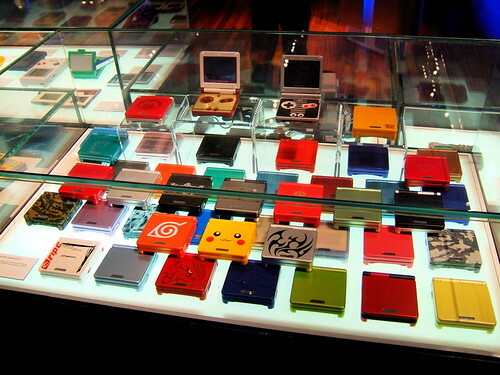 The SP was the first video game system that I got as a present and not as a hand-me-down. I used the heck out of that thing, and it still works great to this day. @pashaveliki No it doesn't. It's the AGS-001, so it's the front lit version. The superior backlit model is AGS-101. How many different "limited" edition models have they made? I have the normal GBA with tons and tons of cartridges! 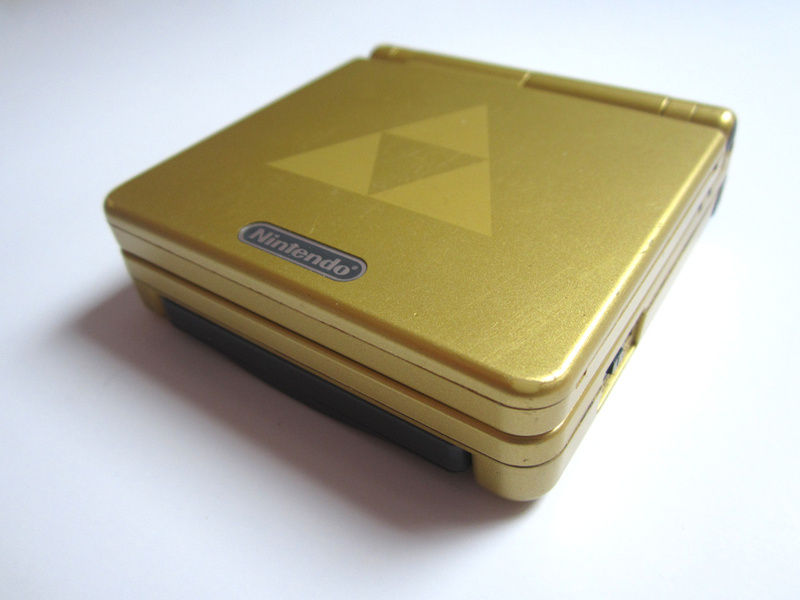 Best Nintendo console ever IMO (though undeniably Wii had the most industry impact). Let's see if the 3DS can catch up. 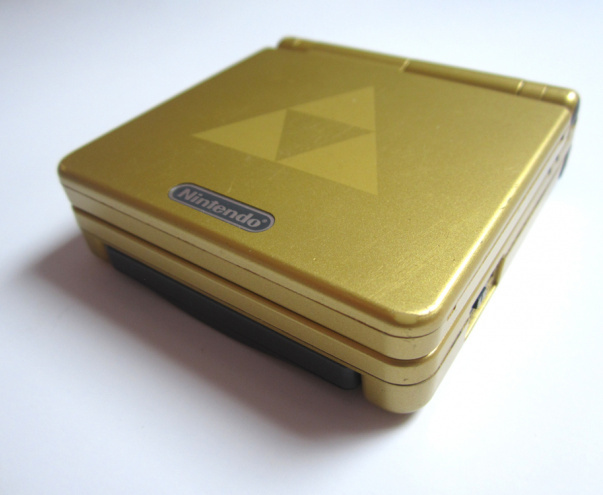 I got mine years ago for £1 from a Cash Converters including Minish Cap! Great condition too. What are you talking about? Of course it has a light, just not the best version, like mentioned in the article. You can also very clearly see the light's on/off button in the photo's. You talk as if it has no light at all. 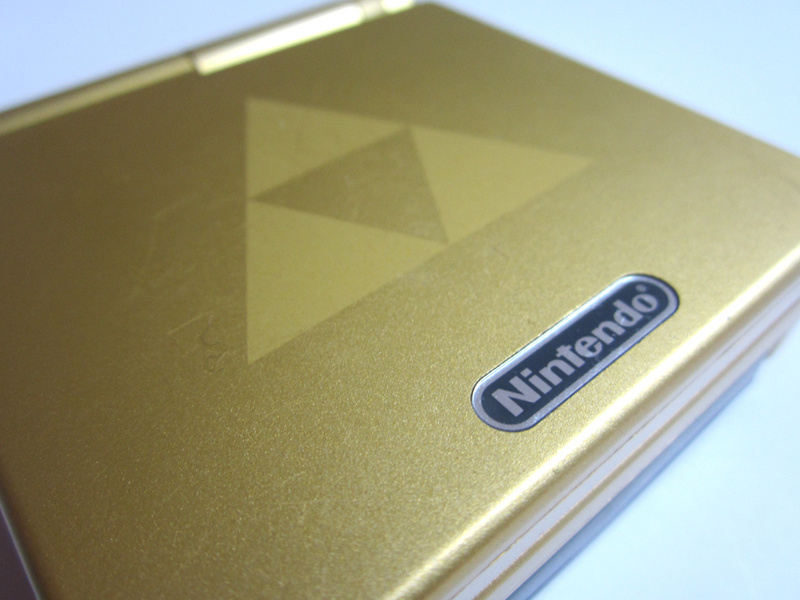 And it's not strange that it doesn't have the superior backlight, since this is an older version of the SP. I have that Zelda SP! 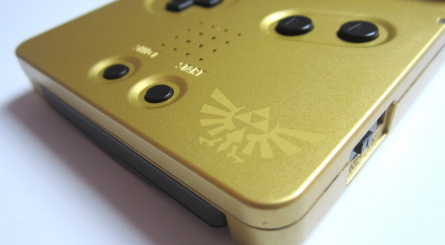 I had the NES one until it was stolen but I don't remember the Zelda one at all. It was in OoT, so it's 13 years older than you thought. I have the NES one. I didn't know about the later revision, but, yeah, the front lit screen doesn't look that great. And my original DS Lite that could play GBA games has a fritzy screen. I got the LE Shrek GBA SP from 2004, still working great. XD But I found my Charging Cord recently, after about 2 years. 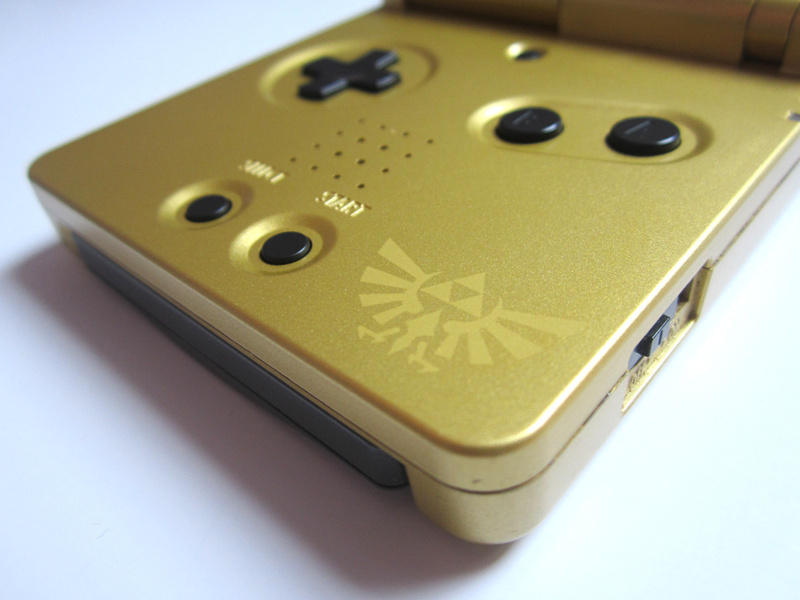 I really wish I had the LE Zelda GBA SP, I own The Minish Cap, ALTTP and NES Classics The Legend of Zelda, why don't I own this model?? What a great retrospective article. Just a few weeks ago I replaced my old GBA SP with a new one from Amazon. 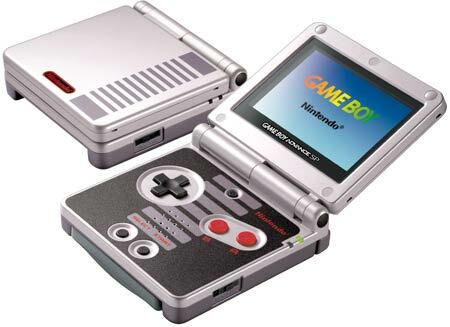 So how would i go about getting a superior backlit model is AGS-101 from eBay then and would i be right in saying that this model would have the best screen to play GB & GBC games then ? Interesting...never saw this 1 before. Though I do still have my original gameBoyAdvance Sp, as well as the NES edition 1, too. Both still in very good condition. 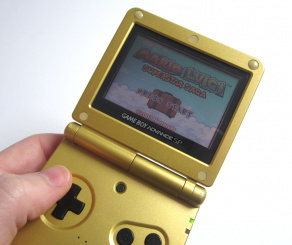 Still have my red SP; first GB I ever owned. Still have my treasured Nes edition SP which helped fight the boredom on hungover days during my first semester of university. I couldn't afford a tv for my room so that was the autumn of Mario Advance 2,3 & 4, Zelda LTTP & Metroid Fusion & Zero Mission. I got a tv/DVD combi for Christmas so I could watch films & hook up my Gamecube in the second semester. But I'll always have fond memories of my little grey, red & black friend & the times spent with it when I should have been studying. Don't think I could sell it at any price. I have the NES edition too! Only problem with the GBA-SP is it was too tiny. Very painful to play if you have large man-hands. I actually picked up a launch model with a worm light, and played the heck out of that one instead. Probably the Nintendo handheld that I'm most nostalgic about. I got a cobalt blue SP for sixth-grade graduation, which was, shall we say, a few years ago. I don't really have any oher limited editions so that must be why it feels so great to see it. 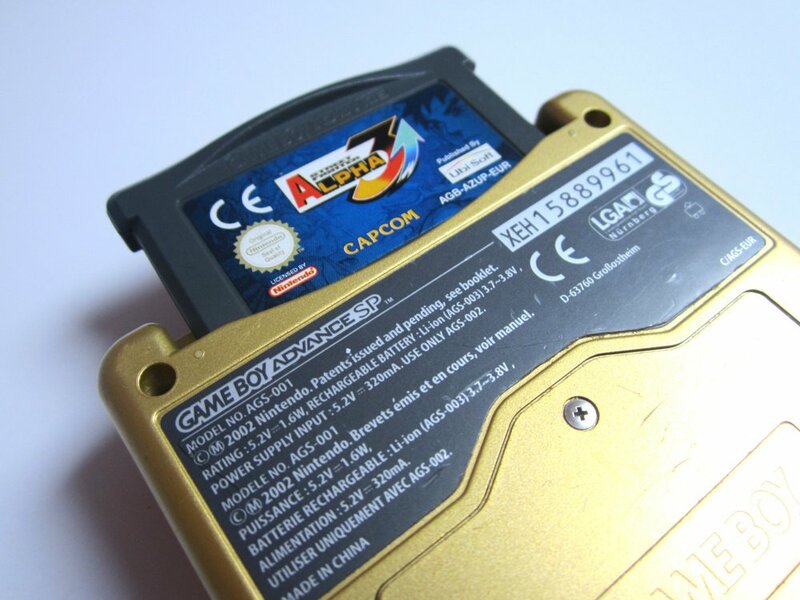 Still the best way to play GameBoy games. Yeah, got that golden SP. 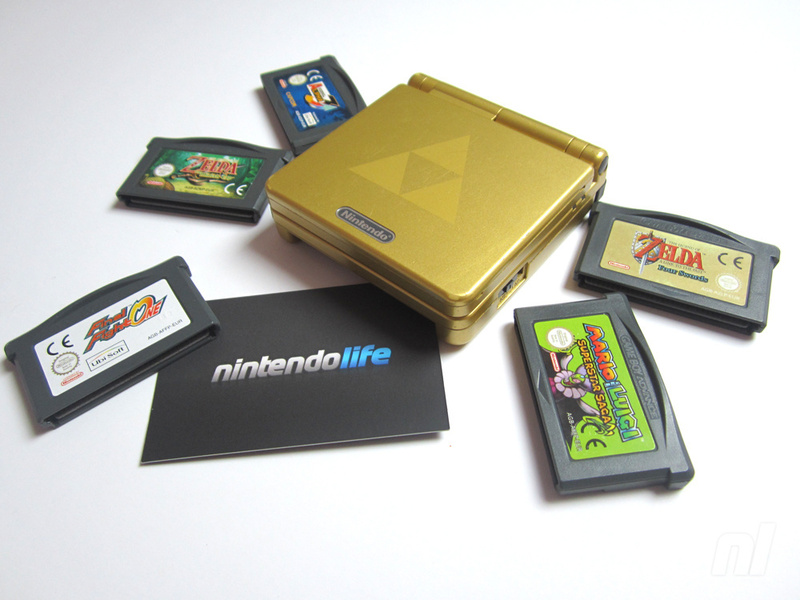 Together with Minsh Cap, LttP/Four Swords, Zelda 1 & 2 (classics), Oracle of Ages and Oracle of Seasons and Link's Awakening DX. I might sell the whole lot. I still have my NES GBA SP... I still whip it out every once in a while... and give it a good charge up. Great system while it lasted. @StarDust Other than it being small, which kinda wasn't a huge problem for me, the only other thing that bugged me was how the backlight appeared to show off gamma light or whatever the whitish light was when you need it in dark areas. @Swiket Still use mine on a regular basis. I keep a copy of Wario Ware Twisted permanently-loaded at all times. Shame this version is merely "side-lit". The only SPs I had were the silver one which was stolen from me and the dark blue one. I always wanted to get the NES retro looking one but when it was available I didnt have the money and now I fear they are very expensive to get. I bought a backlit 101 SP for $60 a few months ago, but the shell is scratched up. If anyone's interested, the Gaming Generations website sells replacements. 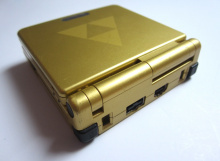 @Vriess I know you probably got a lot of this since you posted this message, but, any chance you would sell the zelda sp? And if so for how much? Actually I haven't. Send me an email and we'll talk.